Please review thoroughly the following checklists. Choose your cover & divider set. Determine the content of your local information pages. Review the options listed on the order form. 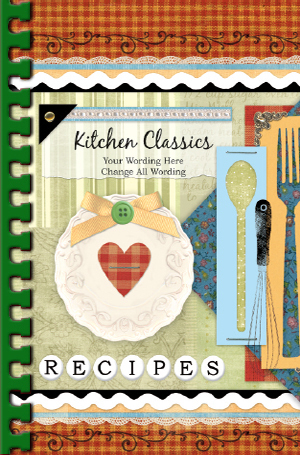 Be sure to clearly mark any you wish to include in your cookbook. Sort recipes into sections. Within each section, place recipes in the order you wish them to appear in your cookbook. * Remember: Use uniform sheets of paper for submitting recipes. Tape smaller recipes to larger pieces of paper in order to keep submission size uniform. Write the name of the organization or individual publishing this book. Complete ALL four (4) addresses so that questions, correspondence, delivery and billing are all directed to the correct locations. Write the quantity of cookbooks you intend to order. Determine your base cost per cookbook. This includes the number of recipes, and the number of books in your order. Review and complete each section of the order form. be sure to include the 50% deposit.